Are you kidding me with that goal celebration? Are you trying to get America pregnant, David Beckham? This guy looks like a young Captain Jack Sparrow who has better hair and knows how to exfoliate. He’s still married to Posh Spice and he can still send 35-yard guided missiles into various parts of the net, if you give him all day to work like the Portland Timbers defense did on Saturday. Beckham scored two awesome goals in the L.A. Galaxy’s 5-3 win over Portland. Here is the second one. This immediately triggered a series of “O’ WILL THY OLYMPIC TORCH BE NOT LIT IF IT BE NOT LIT BY BECKS?” articles in British tabloids. See, about two weeks ago, David Beckham got left off of the Great Britain Olympic football team, much to the chagrin of David Beckham (he told The Sun: “The support’s been incredible — the letters that I’ve got, the phone calls that I’ve got. I’ve had support from my friends and my family because they know how disappointed I’ve been”). The first goal seemed pretty much aimed right at G.B. manager Stuart Pearce’s knockoff Paul Weller haircut. There were three slots on the Olympic team for players over the age of 23. Pearce chose Micah Richards, Craig Bellamy, and Ryan Giggs. David Beckham now seems to be going out of his way to prove him wrong. Who cares? 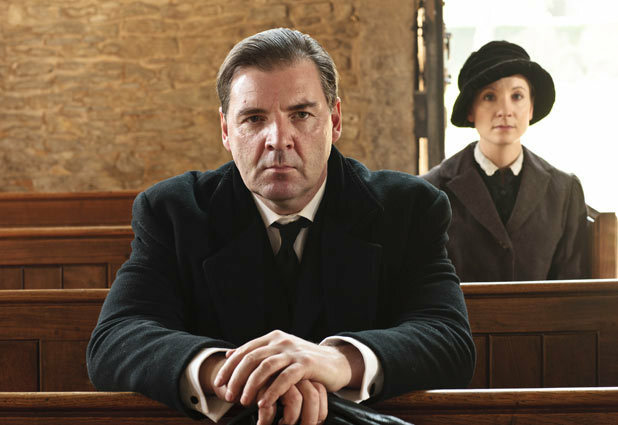 Great Britain can play Mr. Bates in the Olympics for all I care. I’m just happy this slight seems to have turned up the smirking arrogance in Beckham. I prefer that to Knight of the Realm–perfect gentleman Becks. It’s more fun. Dumb Office Arguments: Are Knicks Fans Allowed to Become Nets Fans?